Every day at Turbo, we're always asking ourselves how we can achieve more with their marketing. We usually come with up with crazy new ideas every single day. But before we ever develop anything in our app, we have a rigorous testing process that we use to test and validate every single idea and campaign that goes in to our app. Today, I'm super excited to announce a brand new ad type in our app! What are Turbo Tall ads? Most people don't realize this, but there are a lot of underground marketing tactics that experts use to crush their competitors. It's hard to come across these, because so few people want to share these killer strategies. And "gaming" Facebook ad creatives is certainly one of them. For example, Facebook has specific limitations on the images and videos you use in ads. 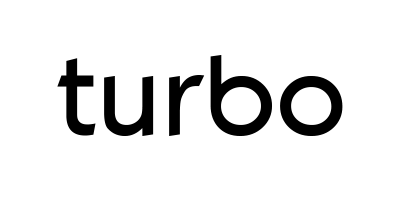 For example, they require your ad images to be 1200x628px, which is a rectangular shape. 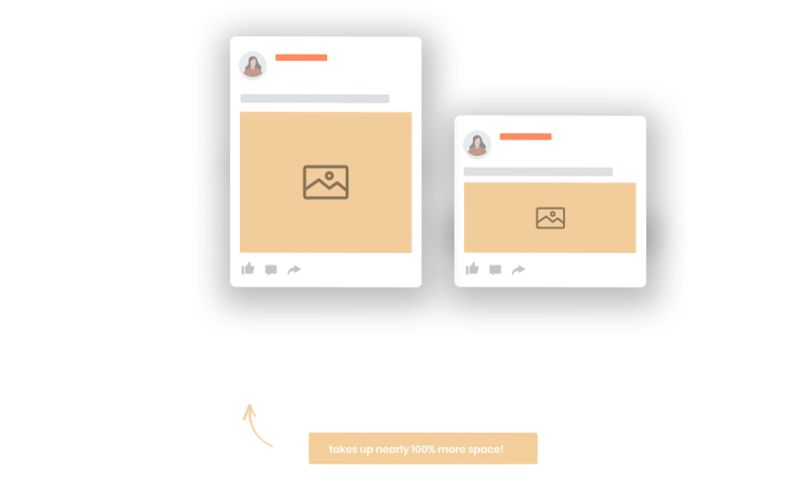 But what the experts are doing, is creating different ad types that take up more space in the newsfeed, and achieve higher performance because its so unique and nobody else is doing it. Well today, now you can take advantage of this too! Inside of our campaign creator, you can now change the ad type in your campaign and use the new tall posts. See? There's a massive difference! 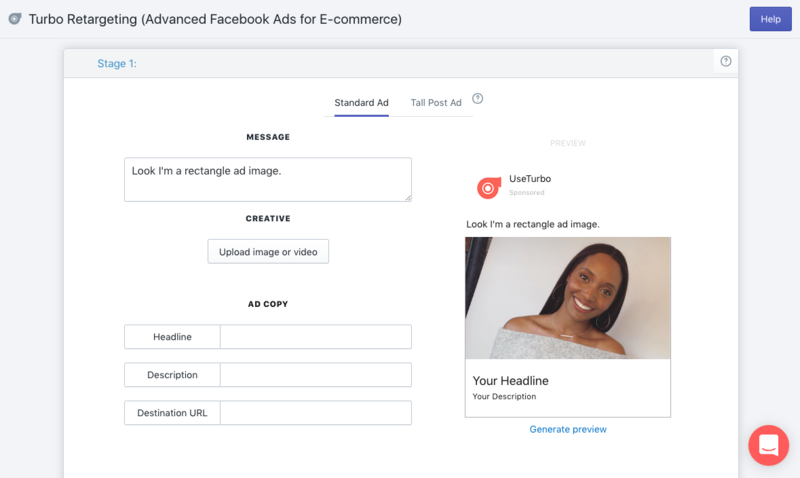 The tall ad type gives you so much more space to be creative, connect with your customers, and showcase your product! Marketing is all about being unique, telling your story, and standing out from the crowd! Tall ads help you do exactly that! We've also measured a consistent increase in ROI and sales from these ad types, when compared to traditional ads. So if making more sales and profit is a priority, there you go. 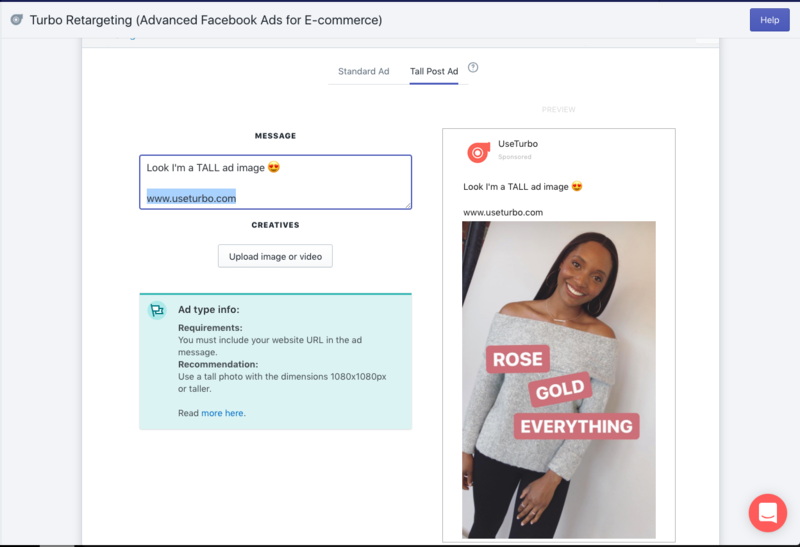 Here's a quick video tutorial where we show you how to use a turbo campaign template, create a tall photo, and use this new ad type! Don't overthink it! Go grab a photo from your camera roll, that you like or a past Instagram photo, that received good engagement! And if you aren't a customer yet, go get our Shopify app and start achieving better results with your Facebook ads!